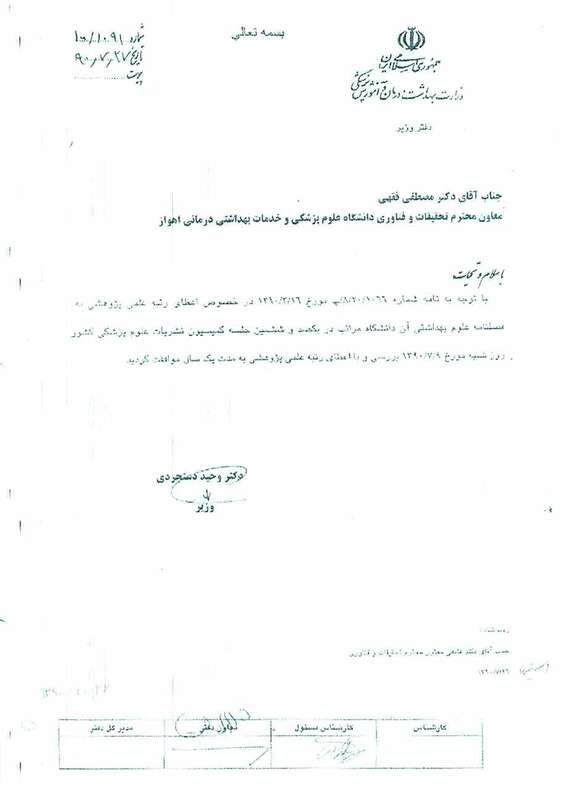 Scientific Research Approval The Iranian committee of medical science journals of ministry of health and medical education according to certificate number 100/1091 on 19 Oct 2011 as scientific research medical journal. Aim & Scope Jundishapur Journal of Health Sciences (JJHS) is a peer-reviewed, quarterly publication by Ahvaz Jundishapur University of Medical Sciences (AJUMS), Ahvaz, IR Iran. The Journal is a modern forum for scientific communication. Data and information, useful to investigators in any discipline in health sciences will be published after they have been peer-reviewed. This will also include reviews and multidisciplinary research. This Journal accepts Original Papers, Review Articles, Short Communications, and Letters to the Editor in the fields of health sciences. Manuscripts are accepted for publication on the understanding that their contents have not been published elsewhere and will not be published except in an abstract form. Article Processing Charge This journal does not receive any APC from authors and all article types are free of charge. Digital Archiving Policy This journal deposits its articles in Portico to guarantee long-term digital preservation.